We play a key role in managing endowed chairs that bring world-renowned researchers and scholars to UB—including Paul E. Tesluk, Donald S. Carmichael Professor of Organization and Human Resources Chair. Paul Tesluk is the Donald S. Carmichael Professor of Organization and Human Resources Chair, and the Dean for UB’s School of Management. Endowed since the 1980s, the Carmichael chair is funded by Delaware North. 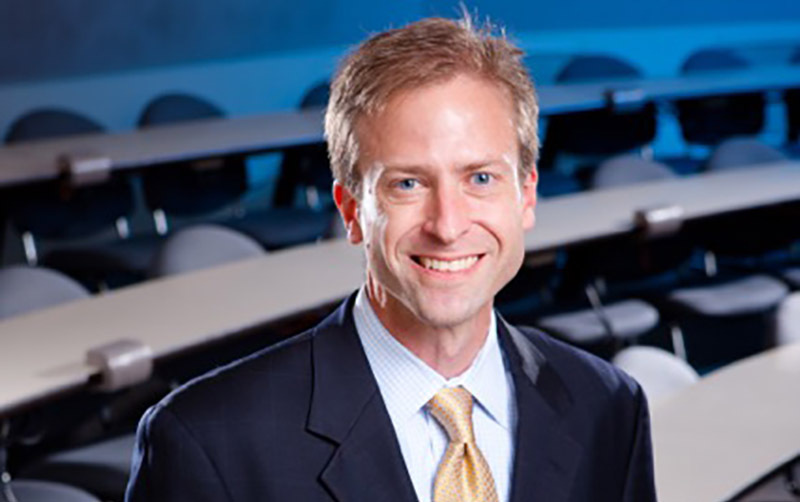 Tesluk received the UB Exceptional Scholars Sustained Achievement award in 2014, and currently serves as academic director for the School of Management’s Center for Leadership and Organizational Effectiveness. He chose UB over offers from other leading universities nationwide—including opportunities for dean positions—because of the vision, leadership and resources available here. We play a significant role in bringing renowned faculty to UB, by enabling donors to direct funds to a specific purpose such as an endowed chair. Tesluk recently answered some questions about his research at UB; here’s what he had to say. 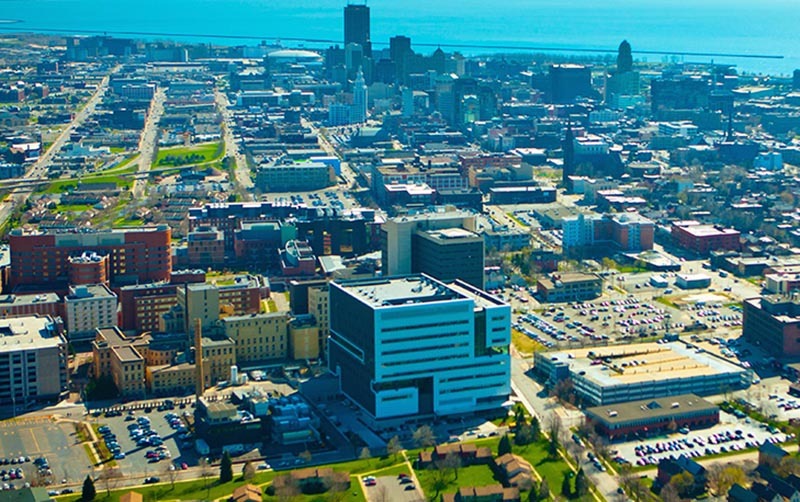 Why is UB a good fit for the teaching and research you’re doing? Tesluk: UB actually has a wonderful history of excellence for scholarship in organizational leadership. Warren Bennis, who has been called one of the greatest leadership scholars of all time, was provost here at UB, where he took many of his theories of leadership and worked to put them into practice. Jim Meindl—who held the Carmichael Chair until his passing in 2004—made some of the most notable contributions to modern leadership theory. And then there are faculty such as Brian Becker, Fred Dansereau (recently retired) and others. I am awed and humbled when I think about the legacy of leadership scholarship we have at UB—and inspired by the opportunity to continue and build on this great tradition of excellence. Why is private support so important to public institutions? Tesluk: Public universities must operate in a world of increasingly limited funding, and face challenges that other institutions just simply do not have to overcome to the same degree. In our knowledge-driven economy and world where, more than ever, accessibility to education and knowledge is vital, private support is essential to enabling public universities like UB to fulfill their mission. What are the benefits of donors being able to direct their funds for a specific purpose–such as endowing a chair? Tesluk: When donors direct their funds to a specific purpose, they have an opportunity to make a distinctive and lasting contribution that can align their own vision and passion for excellence with an opportunity to realize that vision through advancing knowledge and changing the world at UB. What would you like to say to donors who helped make it possible for you to be at UB? There have been literally dozens of us working to make these early successes possible, and we are still only just getting started. Philanthropy such as this can make transformative change possible. Delaware North established the Donald S. Carmichael Professor of Organization and Human Resources Chair in 1983. A graduate of Harvard and the University of Michigan Law School, Carmichael joined Delaware North in 1975 as executive vice president and president of Delaware North Sportservice, and was named president of Delaware North in 1980. The company promoted him to vice chairman in 1989. Carmichael retired from Delaware North in 1990, but remained on the company’s board of directors.